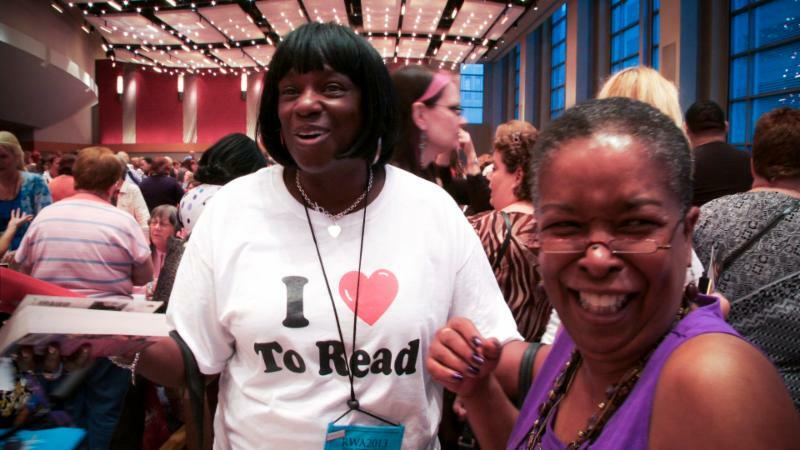 Women in the Arts and Media Coalition: WMM: Did Romance Novels Save the Publishing Industry? WMM: Did Romance Novels Save the Publishing Industry? "...a great choice for cultural sociologists." Romance fiction outsells all other genres of writing, from crime to science fiction, combined. So why is the genre so often dismissed as frivolous "scribble"? Could it be that it's because the overwhelming majority writers and readers are women? This funny and inspiring look into a billion dollar industry turns up the trailblazers who have not only found fortunes and fulfillment in romance, but who are also at the front lines of the biggest power shift in publishing. In LOVE BETWEEN THE COVERS Emmy Award® Winning director Laurie Kahn (TUPPERWARE!, A MIDWIFE'S TALE) turns her insightful eye towards another American pop culture phenomenon: the romance industry. Creating online empires and inventing new markets are authors like Beverly Jenkins, a pioneer of African American romance, Len Barot (aka Radclyffe, L.L. Raand), a surgeon and lesbian-romance legend who started her own publishing house, and the incomparable Nora Roberts. This documentary offers fascinating insights into the history and popularity of this female-centric literary world that pushes the envelope on gender, race, sexuality and diversity. Laurie Kahn is available for speaking engagements, please click here to inquire. The new Ms. Digital Reader: Gender, Race and Class is an innovative digital textbook perfect for all levels of women's and gender studies students. The first of its kind, The Ms. Digital Reader is a rich, accessible compilation of classic and current articles from the pages of Ms. magazine, 1972 - today, and also includes digital access to three new releases from Women Make Movies: I AM A GIRL, INDIA'S DAUGHTER and ALICE WALKER: BEAUTY IN TRUTH. The collection of over 150+ articles are written by some of the most pathbreaking, important and widely read feminist writers, including: bell hooks, Gloria Steinem, Barbara Smith, Alice Walker, Sandra Cisneros, Anita Hill, Beverly Guy-Sheftall, Dolores Huerta and many more. This reader is now available, click here for a preview!